Notwithstanding a few near misses (the Austrian presidential election), many more liberally-minded readers will probably reflect back on 2016 as a year of loss and anxiety. Two significant shocks—Brexit and the election as US President of a reality TV star billionaire with neither political experience or knowledge—have severely dented our sense of the logical progression of our times. Repeatedly, we have been forced to ask whether we are not moving in a retrograde direction, and whether in particular a right-wing populist agenda driven by hysterical propagandists spells doom for more tolerant, inclusive world-views and threatens anew to unleash the hatreds which proved so destructive throughout most of the 20th century. To my mind these fears are not misplaced. Neither, however, are they new. A pervasive sense of crisis in fact defines much of the dialectical counterpoint to the recurrent official optimism of progress which constitutes the dominant ideology of the modern period. To Marx, capitalism would eventually self-destruct in one final cataclysm, producing at the same time the earthly paradise of the proletariat. To Schopenhauer, a natural cultural pessimism was the logical concomitant to the age of the masses. By the late 19th century, indeed, it was becoming evident that the pattern of urban industrial modernity and an increasingly dominant world-market mechanism might well prove more disruptive of humanity’s aspirations for betterment than not. From this perspective the moment of optimistic, expansive progression, which seems in retrospect to define most of the second half of the 20th century, now seems more the exception than the rule. 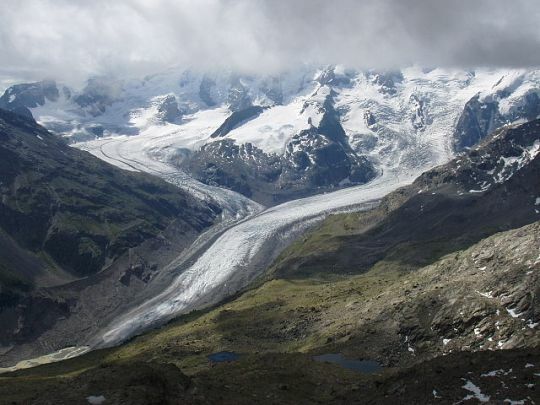 Morteratsch (right) and Pers (left) glaciers in 2005. Photo by Günter Seggebäing CC BY-SA 3.0 via Wikimedia Commons. But there are still more sobering reasons to suppose that things are getting worse rather than better. Our fears of the past two centuries have mostly involved mass society, revolution, capitalist exploitation, and crisis, and then, after 1945, the prospect of nuclear war. Now we face an environmental crisis of a magnitude which puts all these anxieties in the shade. We will not, it seems, “master nature,” as Bacon and Marx alike hoped. Nature is rightly angry at us and will have her retribution. While all our anxieties since the beginning of the Industrial Revolution have been contingent—they have involved things which might happen but also might not—global warming is certainly happening, and with a speed which leaves even scientists deeply dismayed. No amount of new iPhones, or advances in medicine, or in our ability to forestall ageing and disease, will stave off the calamitous eventuality of an earth which can no longer support its inhabitants. If, as now seems increasingly likely to be the case, we witness a constant process of warming across the next decades, we are likely to reach systemic collapse towards the end of this century. With a population of over 10 billion, this will produce the mother of all crises, and quite possibly the last. This prospect ironically both heightens and diminishes the great shocks of 2016. So serious is the threat of this looming future that even the election of Donald Trump as president in 2016 would seem in retrospect to be a tedious mishap, reparable in four years. Yet we are all aware that the very people who will pace the corridors of the White House for the next four years will also be those who are most likely to ignore our greatest future perils. Many deny climate change. Most have an interest in avoiding the topic. The language they will speak will be jobs, business, money, making America great again. The 38% of the British electorate who voted for Brexit will echo similar sentiments, and the Daily Mail will assure them that Britain too is on its way back to greatness even as our further detachment from Europe dooms us to greater insignificance than ever before. So as the year draws to a close we are rightly bound to feel anxious, alarmed, and despondent. We are speeding down the path to dystopia, the bad place from which few return, with our eyes closed, chanting a mesmeric mantra of denial. We can only hope that we wake up while there is still time to apply the brakes. Featured Image Credit: “Derelict” by Paul Hudson. CC BY 2.0 via Flickr. 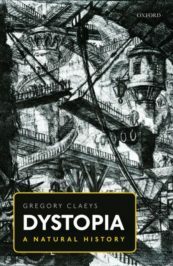 Gregory Claeys is Professor of History at Royal Holloway, University of London. He is the author of eight books and editor of some fifty volumes of essays and primary sources, including Dystopia: A Natural History. His main fields of interest are utopianism and the history of radical and socialist reform movements.